American Renaissance, a decades-old white nationalist organization, appears to be placing its bets on YouTube when it comes to recruiting a new generation of youth to the white nationalist movement. 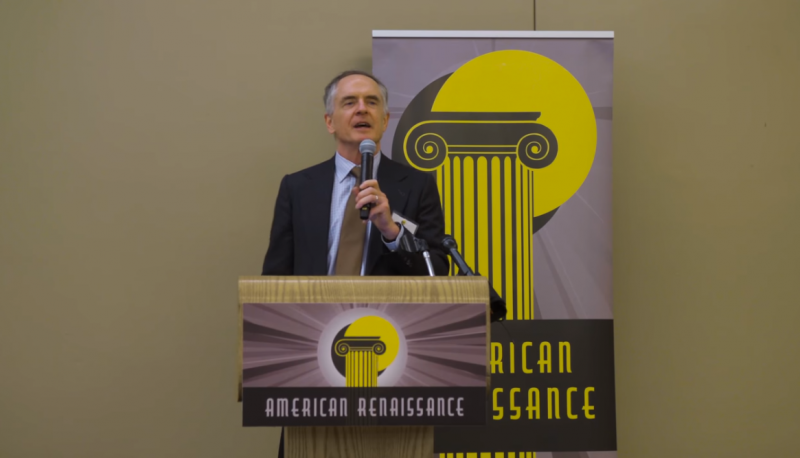 A white nationalist organization founded by Jared Taylor in 1990 and designed to resemble a legitimate think tank, American Renaissance eschews the kind of racial slurs traditionally spouted by white nationalists for junk science presented as serious academic scholarship in order to grant their agenda an air of intellectual legitimacy. Yesterday, American Renaissance announced its 2019 conference lineup. The annual conference is set to take place at the Montgomery Bell Inn and Conference Center in Burns, Tennessee, as it has for the past seven years. The lineup features most prominently a handful of YouTube personalities active in the white nationalist movement. This year’s lineup includes Patrick Casey, Nicholas Fuentes, Faith Goldy, Lana Lokteff, and Ayla Stewart as its headliners, in addition to Taylor and Sam Dickson, who speak at the conference every year. Leaders in the white nationalist movement have exploited tech platforms and, since early 2015, infiltrated online communities in hopes of recruiting young people to their cause as part of an arduous struggle to recruit and maintain a fresh batch of activists. President Trump’s campaign-trail rhetoric on immigration and nationalism and his status as a frontrunner during the primaries aided the movement’s efforts in ways that were beyond its leaders’ wildest dreams. After the movement assembled at the 2017 Unite The Right rally in Charlottesville, Virginia, for a display of vitriol and violence that resulted in a murder, white nationalists’ recruiting efforts stalled. Soon, the movement’s success online was facing a rapid fracturing. The “alt-right” movement as it exists in America today manifests on a spectrum ranging from digital propagandists to murderous gangs. The white nationalist movement, on the other hand, essentially exists as a collection of cliques, many of which publicly bicker and rhetorically snipe at each other. The announced YouTube personalities headlining the conference, in addition to American Renaissance as a whole, belong to a sector of the white nationalist movement whose public figures seek to obscure the movement’s bigotry under layers of professional presentation and pseudo-intellectualism. American Renaissance boasted at last year’s conference that it had experienced some success reaching youth audiences and included a couple of sympathetic YouTube personalities meant to provide examples of that success. This year, it appears that the organization is going all-in on their digital propagandists, filling the keynote lineup almost entirely with YouTube personalities. The move seems to suggest that Taylor and his colleagues at American Renaissance believe that the YouTube platform holds opportunities for bringing the white nationalist ideology to a new generation. One reason for this could be that compared to online spaces like Twitter, which has stepped up content moderation efforts against hate speech, YouTube has been reluctant to ban white nationalists, allowing many of them to use the platform freely and fundraise through use of the platform’s “Super Chat” program. Patrick Casey is the executive director of the white nationalist group Identity Evropa and a contributor to the alt-right YouTube channel Red Ice TV. Casey has been intent on updating the “optics” of the white nationalist movement, doing so at his organization with poster campaigns and unannounced banner-drop events. Identity Evropa exists in the white nationalist movement as a campus-based recruitment effort, although it keeps its membership numbers and chapter locations private. This will be Casey’s second appearance at the conference. Nicholas Fuentes is a white nationalist media figure who got his start hosting a podcast with alt-right podcaster James Allsup. During an episode of his YouTube show last year, Fuentes said that he was introduced to far-right politics by watching videos produced by Stefan Molyneux, an alt-right propagandist whose YouTube account boasts 650,000 subscribers. Fuentes briefly produced programming for Right Side Broadcasting Network, where he faced backlash for delivering a rant demanding that employees at CNN be “arrested and deported or hanged.” He now produces his own YouTube show. Fuentes has argued that generating hostility toward minorities would be a fair trade-off to ending what he believes to be a “white genocide” happening in the world and is a proponent of “scientific racism.” (The “white genocide” myth is centered on the notion that white culture is erased and white property endangered when whites occupy a minority status.) Despite the fact that his ideology is essentially the textbook definition of what white nationalism is, Fuentes denies being a white nationalist. This will be Fuentes’ second appearance at American Renaissance’s annual conference. 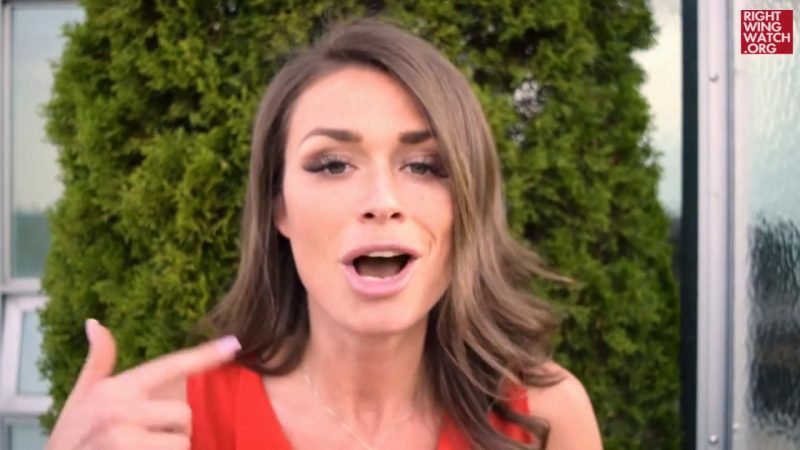 Faith Goldy is a white nationalist YouTube personality who was fired by the right-wing Canadian outlet The Rebel after appearing on a neo-Nazi podcast following the violent Unite the Right white supremacist gathering. In the months after her ousting from The Rebel, Goldy would go on to voice her support of white nationalism and to recite the white supremacist “14 Words” slogan. She has also voiced her support of anti-Semitic conspiracy theories pushed by neo-Nazis. Last year, Goldy attempted to become mayor of Toronto, finishing third. Rep. Steve King said that he has spoken with Goldy repeatedly over the phone, and “took her through a lot of philosophy,” Media Matters reported. This will be Goldy’s first appearance at the conference. Lana Lokteff is an on-air personality for the web-based outlet Red Ice who believes that the United States of American “can never, ever, ever, be too white.” She once argued that the depiction of interracial relationships in media is a genocidal strategy “more devious” than mass murder. Even though Red Ice is staunchly white nationalist and regularly stirs up its audience against immigrants and Jewish people, YouTube has been reluctant to ban the channel. Ayla Stewart is a white nationalist YouTube personality who styles her message in a way meant to be more palatable to Christian and “traditionalist” audiences. She has a modest presence on YouTube but has been boosted by more visible personalities including Lokteff and Brittany Pettibone.